You’ve packed your tent, food, clothes, sleeping bag… what else would you need? 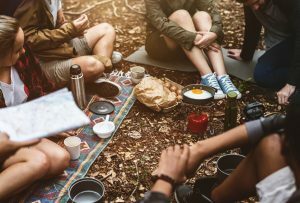 If you’re fairly new to camping, or are just stuck for what you might need to bring, we’ve got you covered with our top 10 things to take camping! Some campsites and holiday parks have a First Aider on site (such as us,) however not all do. It never hurts to be prepared because bites, stings, cuts and bumps can happen anytime and anywhere. 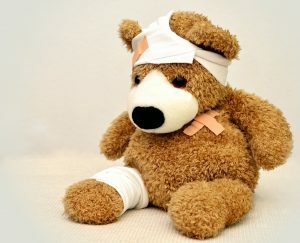 You don’t need to have an exhaustive supply to prepare you for every adversity, but a few basics like plasters, bandages and salves certainly wouldn’t go amiss. Hopefully, it’ll still be light when you arrive and begin pitching your tent… hopefully. 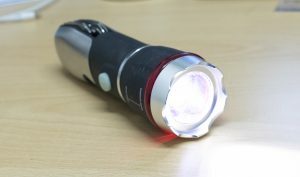 Bringing any kind of light – be it a hand torch, lantern, or headlamp – not only prevents you from fumbling around in the dark, but also allows you and your party to sit outside chatting away for longer before bedtime! Some holiday parks may be able to provide a map of walking and cycling routes in the local area, but again, there’s no guarantee. 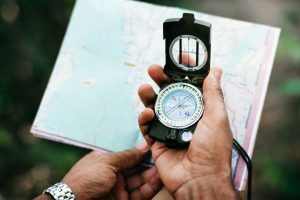 If you’re the adventurous type and think you’ll fancy a ramble while you’re out camping, don’t go without a map and compass. Check the forecast all you like, fact is that the weather can change unpredictably and quickly. Even if experts are forecasting a heat wave, there’s no harm in packing a waterproof coat just in case! Also, chances are that not everywhere you walk will have smooth pavement, so make sure you bring some comfortable walking boots/trainers. 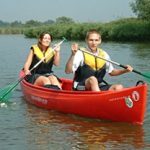 You may well decide to do some fishing while you’re camping by the river, or something else requiring a small tool. 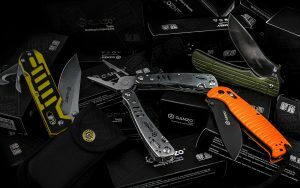 With a camping multi tool, you’ll be ready with tools at hand in a pinch. They range in size and number of tools they offer, but most come with a knife, saw, bottle opener, screwdriver, and scissors as a bare minimum. Hands up whoever has got themselves in a muddle trying to figure out which pole goes where when pitching a tent! Pop-up tents are the solution. 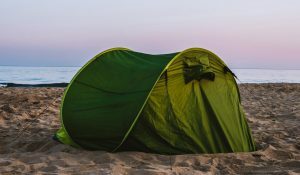 You generally can’t find a pop-up tent with a higher sleeping capacity than 4, but they’re so easy to put up and take down that it would be wrong for us to neglect mentioning them on this list. That said, there is always a very specific way to fold/unfold a pop-up tent, so make sure you know how to do it before taking it away with you. Who says you can’t have a brew just because you’re camping? You don’t have to forgo all luxuries! Portable camping stoves are usually powered by butane gas cartridges, and come in very compact sizes. Perfect for setting up a small cooking area, or for boiling water in your portable camping kettle! Sometimes you may want to just turn your phone off for the weekend, but not always. 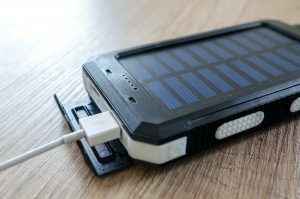 When you don’t, it doesn’t hurt to invest in a solar powered phone charger. Why solar powered? Because you may not have access to a power socket to charge up the battery reserve without – especially useful on longer camping trips where you may require recharging your phone multiple times. Sleeping bags aren’t to everyone’s tastes, and there’s nothing stopping you from making up a full bed in your tent with an inflatable mattress! Some come with a thick, toughened skin; these ones are more suitable for camping as they are less prone to being punctured. Just be sure to also pack an air pump! And last but not least, make sure you have something to do – especially if you’re bringing children! Be sure to check what the rules are at the camp site you’re staying at, as some (like us) do not allow ball games, for example. 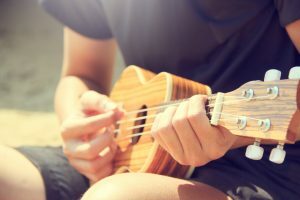 Or, if you’re quiet and stop before it gets too late, a musical instrument like a guitar or banjo may be a perfect addition to the ambience! That wraps us up! 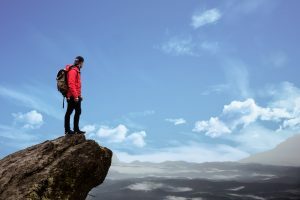 Hopefully you enjoyed reading through our list of the top 10 things to take camping, and are now more clued up on what sort of things you might want to take with you. The most important thing, as always, is to have fun and enjoy your camping trips!